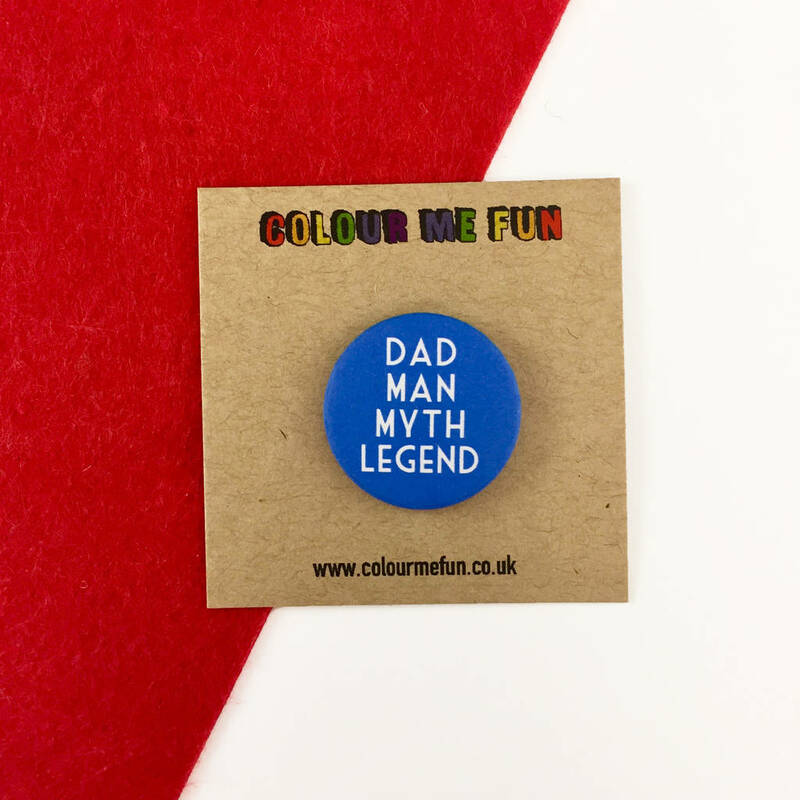 Celebrate your dad - man, myth, the legend! 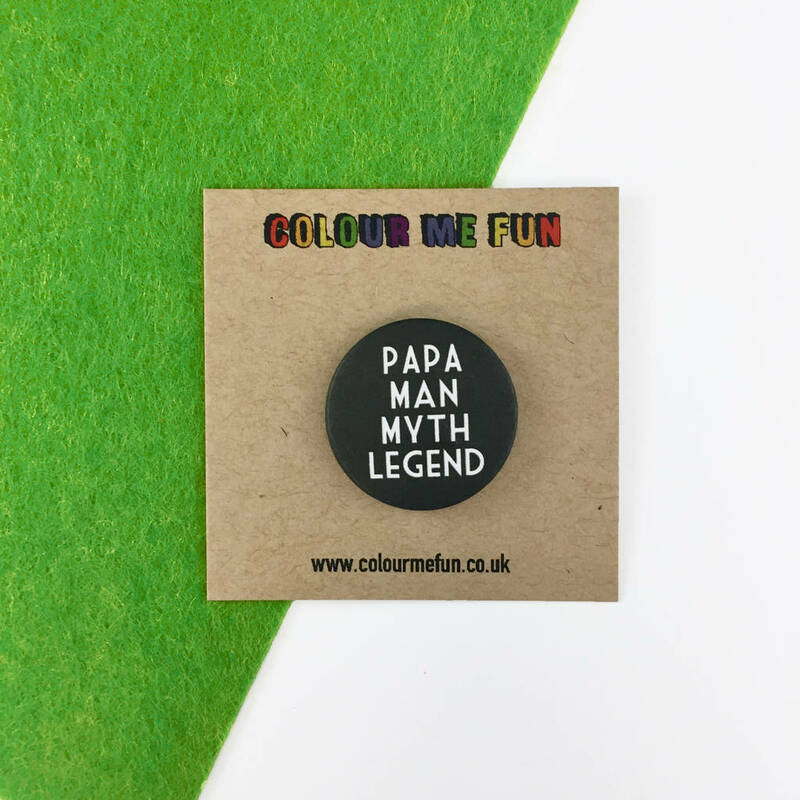 These pins are a great way of telling your papa bear that you treasure him. These pin badgesmakes the perfect gift for dad this Father’s Day. 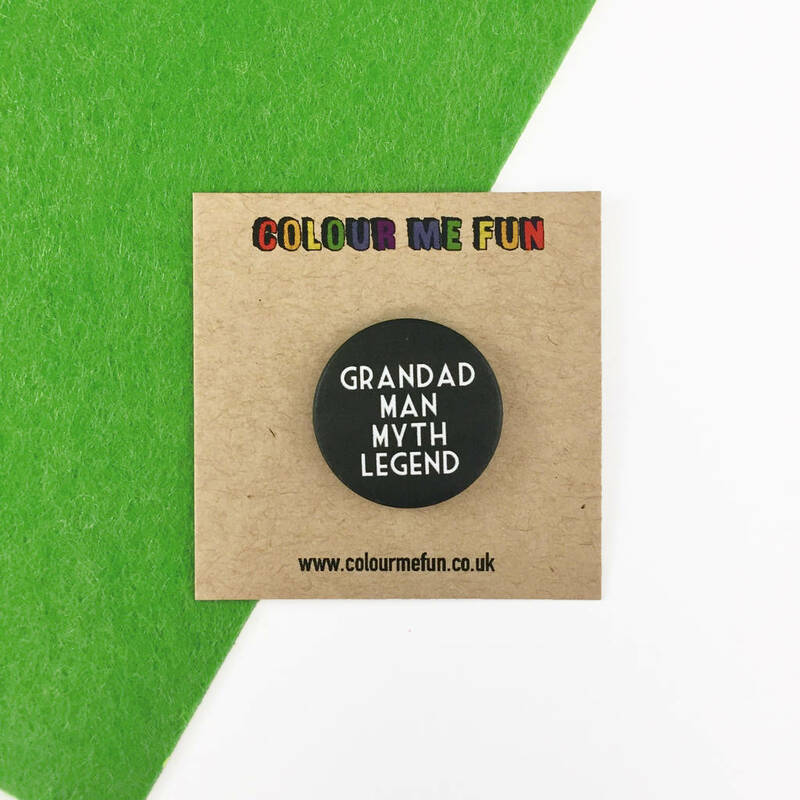 Also ideal for a grandad, husband or hard-to-buy-for man for birthdays, anniversaries or Valentine’s Day. 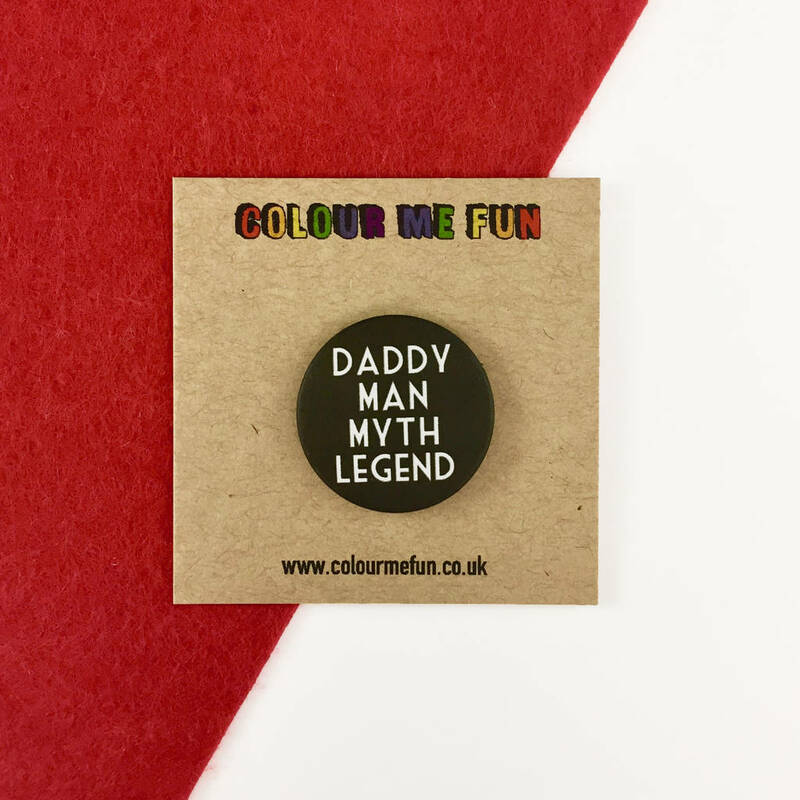 Whether your celebration being a first time dad, Father's day, or birthday - let him know that he's the best daddy ever! 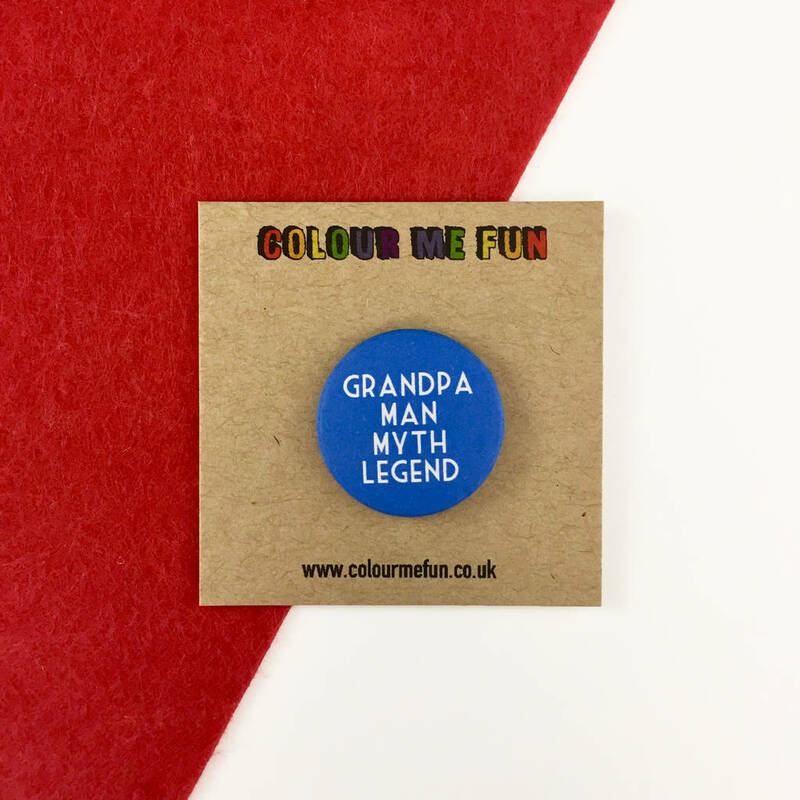 Give this cute extra gift that he can wear wherever he goes - whether it's on his bag or coat. 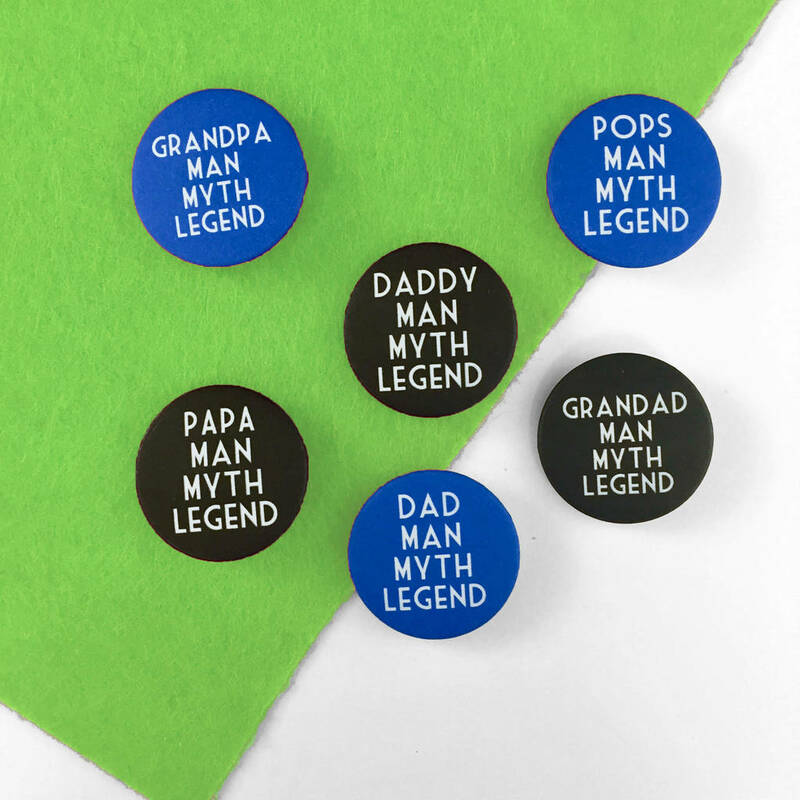 Choose from: Dad, Daddy, Grandad, Grandpa, Papa, or Pops. Each pin comes card backed as shown. 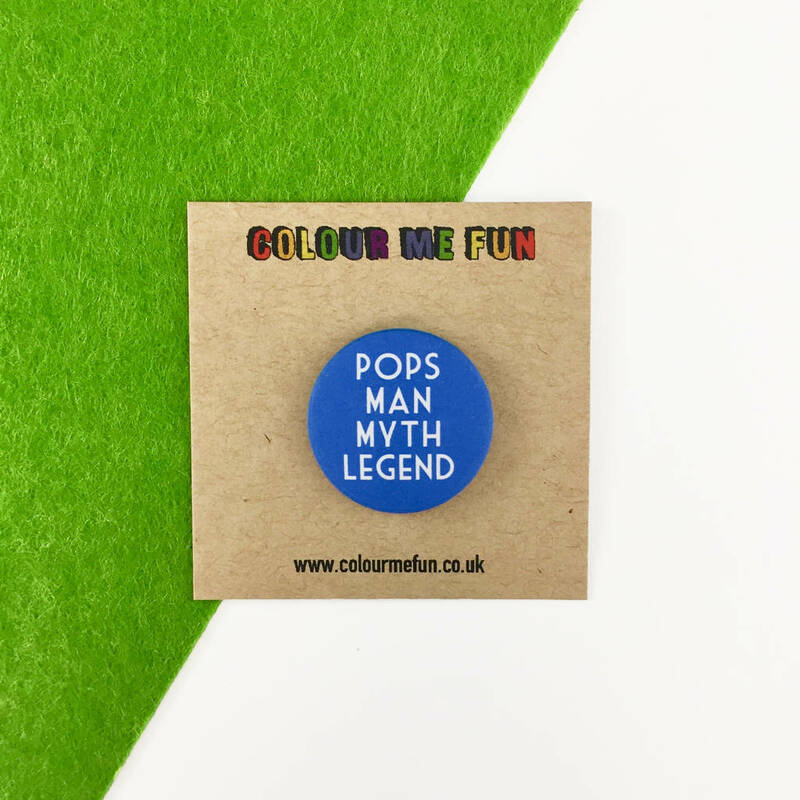 This product is dispatched to you by Colour Me Fun.